A few weeks ago we had a glorious, sunny, clear day. With the chill now creeping through my bones it feels like an age ago. 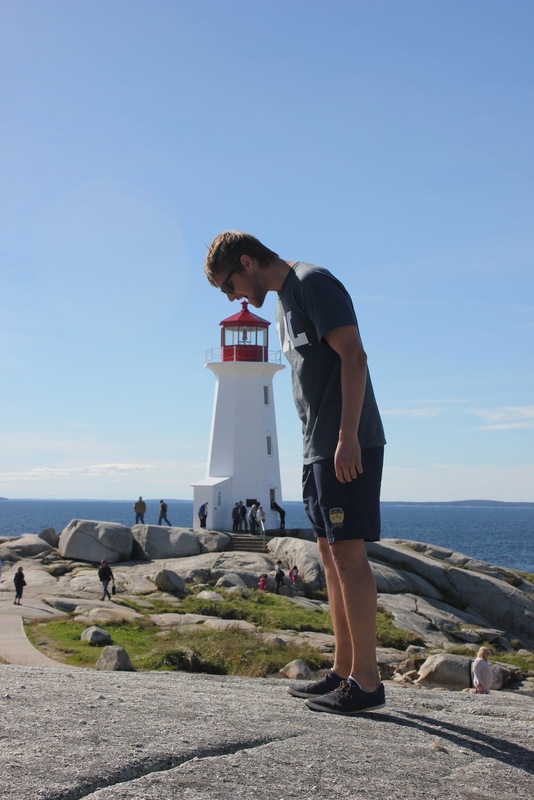 Luckily we made the most of it with a day trip out of the city to the iconic lighthouse and fishing village at Peggy's Cove, less than an hour away. Before I arrived here and looked up pictures of Halifax and nova Scotia, this little town and it's white and red lighthouse cropped up everywhere. It really is a gorgeous little spot- crawling with tourists but still lovely and sleepy- feeling, and a relaxing place to spend a beautiful day off. We took our time stopping at little hidden spots along the way, and had a lazy fish and chips lunch. This was our very first trip out of Halifax- exciting!- and we had a gorgeous day.